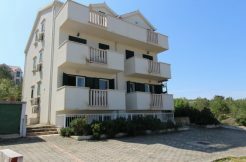 Beautiful and charming apartment house in Milna with beautiful sea view in the center of town. 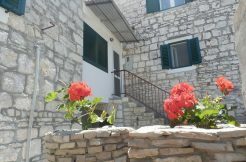 The house is a detached, spread over three floors, the ground floor, first and second floor, about 90 sqm, built on a plot of approximately 420 sqm. The house consists of five apartments with separate entrances. The ground floor consists of one one-bedroom apartment and studio apartment. On the first floor there are two apartments, one one-bedroom and one two-bedroom. 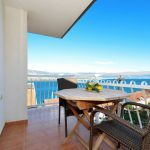 From both apartments you can reach the spacious terrace of 30 sqm which offers a beautiful view of the sea and the place. On the second floor there is a two bedroom apartment with a beautiful, spacious terrace. The house is fully equipped and furnished, air-conditioned. This is a property with lots of potential and an excellent opportunity for tourist rentals. On the back of the house there is a swimming pool and auxiliary facility that is currently used as a storage room and there is a fireplace. The garden is very nicely decorated and cultivated. In the yard there are two parking places. Ownership valid.